The below news article highlights the importance of regularly testing water systems, in order to prevent cases of the potentially deadly legionnaire’s disease. ‘The daughter of a pensioner, who died at a care home three years ago, has been telling a court that a Bupa healthcare company was responsible for his death. Kenneth Ibbetson, 86, died at Hutton Village Care Home in Brentwood in June 2015, from Legionnaires’ disease. Bupa Care Homes (BNH) Ltd has admitted health and safety breaches. The outline of the case was heard at Ipswich Crown Court where the firm is being sentenced. Mr Ibbetson’s daughter Caroline Peters told the court the firm was responsible for his death and spoke of the “rippling” effect it had on her family. The court heard that samples taken from taps at the home after his death found there was a high concentration of Legionnaires’ disease in the water. Mr Ibbetson has lived there for three months. Occupants will normally be elderly or have a lower immune system. Old age & lowered immune systems substantially increase the risk of contracting legionnaires disease. We understand the unique challenges faced by Care Homes and know how important it is for you to monitor and mitigate against the real risk of legionella. The Health and Safety Executive (HSE) has prosecuted numerous Care Homes for failing to control the risk of legionella. With ZetaSafe you will protect yourselves and your occupants, whilst adhering to HTM 04:01 and passing CQC audits. Get peace of mind today with ZetaSafe! All workplaces have legal duties under the Health and Safety Executive’s publication of ‘The Control of Legionella bacteria in Water Systems – Approved Code of Practice and Guidance (ACoP L8)’ and Technical guidance HSG274. Statutory duties are placed on the duty holder (the person in control of the premises) who must appoint a ‘Responsible Person’ to manage the control of Legionella. Industry best practice is to carry out a site specific Legionella Risk Assessment on all water systems and there is a duty to keep Monitoring data for five years. ZetaSafe legionella software is perfectly placed to meet this requirement as complex or extensive estates can drown in the paperwork that is generated. It is even more challenging to spot trends and patterns with paper records which can diminish your ability to make the timely interventions to help minimise risks. ZetaSafe makes all of your critical data easily accessible, so any issues can be corrected immediately helping to protect your residents, staff and reputation. 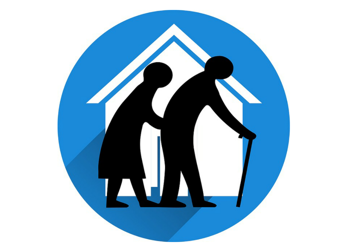 ZetaSafe can release your time and resources, allowing you to focus your attention on caring for your residents. Click the image below to explore ZetaSafe. Ensure Water Safety / Legionella compliance to ACoP L8 and HSG274 / HTM 04-01. Personalised dashboards can be configured so that each stakeholder has easy access to the most important and relevant data to them. Managers and supply partners can view the same information simultaneously wherever there is internet access, saving them time and resources. Integrates to other systems such as CAFM*, Property, Facilities / Maintenance Management, PPM systems, Workforce Scheduling and Accounting Ledgers. *ZetaSafe integrates directly with Qube Planet FM. Smartphones, tablets or even PDAs with bluetooth temperature probes can be used to collect data and the system is already programmed with the prescribed L8 and HSG274 temperature limits and frequencies and for the other manual inspections required too. ZetaSafe Legionella logbook software puts you in control; you can schedule your tasks, manage failures or defects and analyse any trends. ZetaSafe makes it easier and more visible to help ensure compliance.